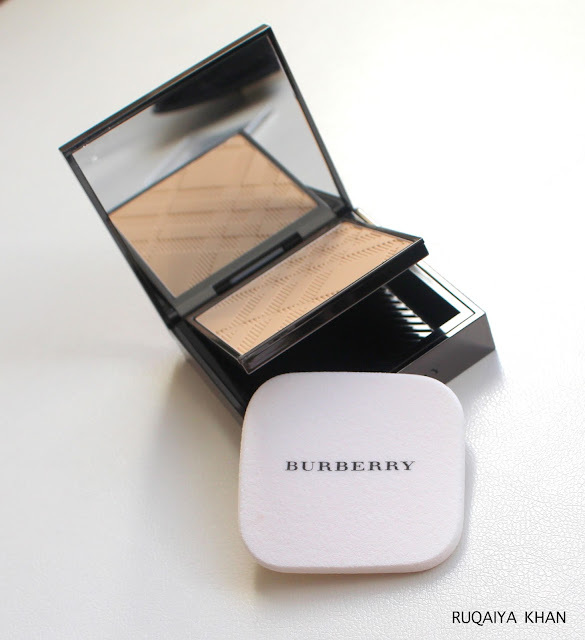 BURBERRY Fresh Glow Compact Luminous Powder Foundation is a dual-finish powder foundation, which means that I can use it dry for sheer coverage or wet for more coverage. 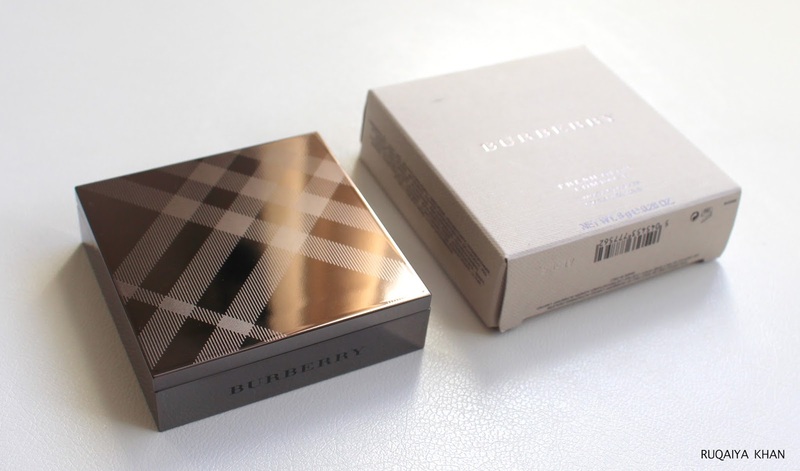 It comes in the classic Burberry packaging that houses a sponge as well. I am not a fan of this packaging because it's hard to get into the sponge compartment. I have to flip the foundation pan to reach the sponge and it just doesn;t feel right. It's awkward and I fear I might crack the foundation or dig my nails in it. For now, I've just stopped using the sponge altogether. The packaging is a thumbs down from me. 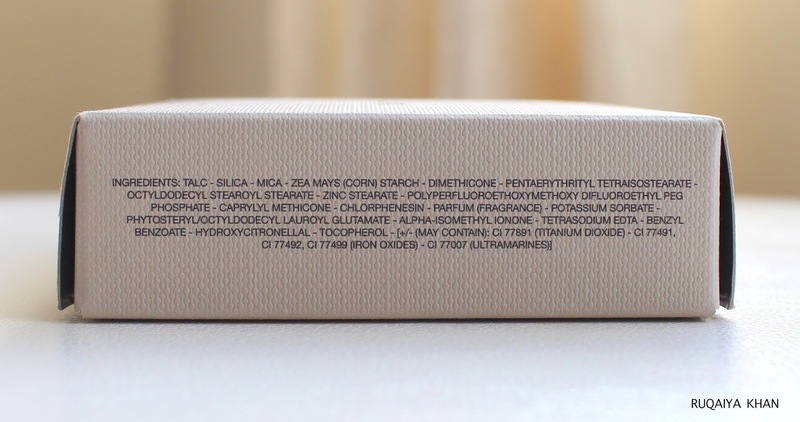 Let talk about the texture first. 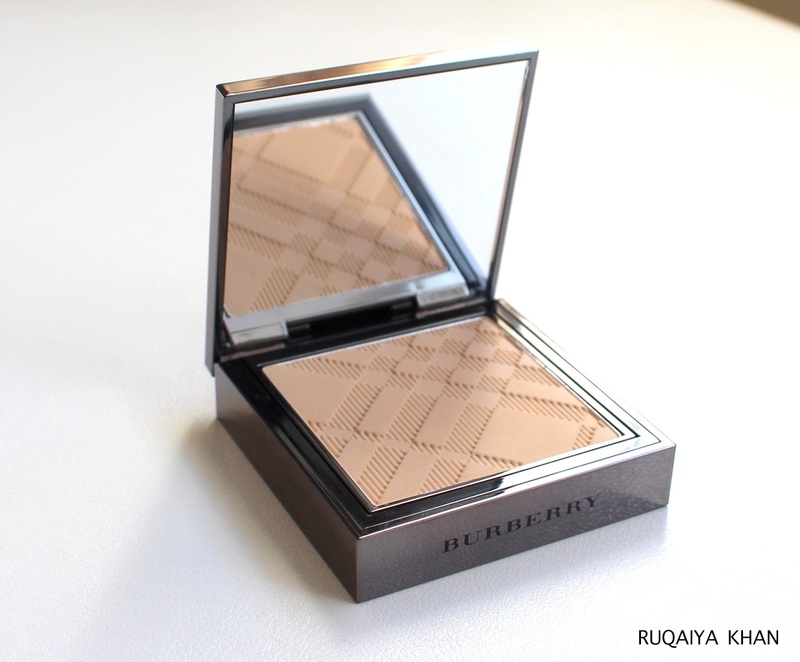 It feels creamy even though it's a powder foundation and there is almost no powdery dust when I use it. I really like this kind of texture because it's easy to apply and blend without running into patchiness. However, it does have a tendency to cling to drier areas and accentuate them. That is so unexpected of this texture because anything that feels so creamy and soft is expected to be hydrating and cover up dryness. So I always have to use a silicon based primer (I use Smashbox Photo Finish Primer) that takes care of the pores and dryness on skin. It goes pretty smoothly on top of it. The finish is not luminous on me. 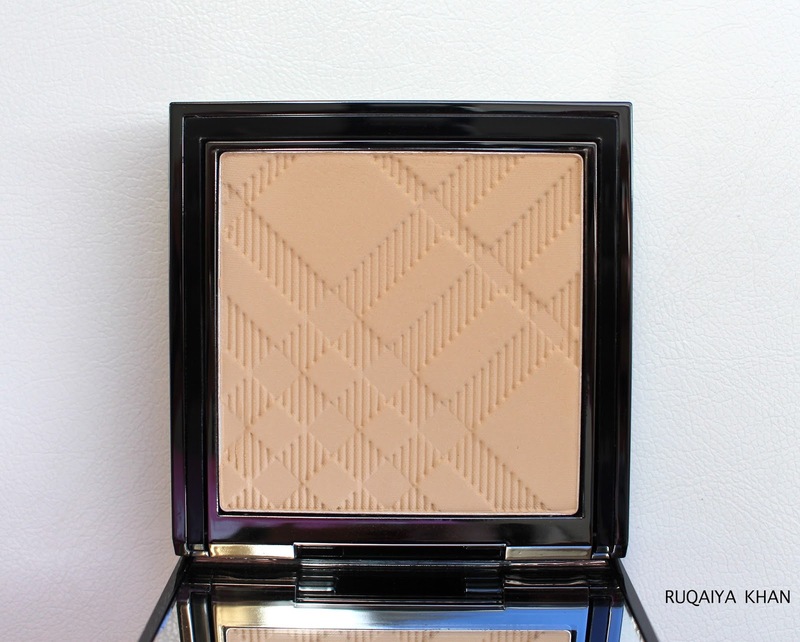 I feel that it doesn't blur out pores or add a luminous effect on its own. It's actually pretty matte even with the primer underneath. The only way to get a luminous finish with this one is to either use it wet or use a highlighting primer before applying this. 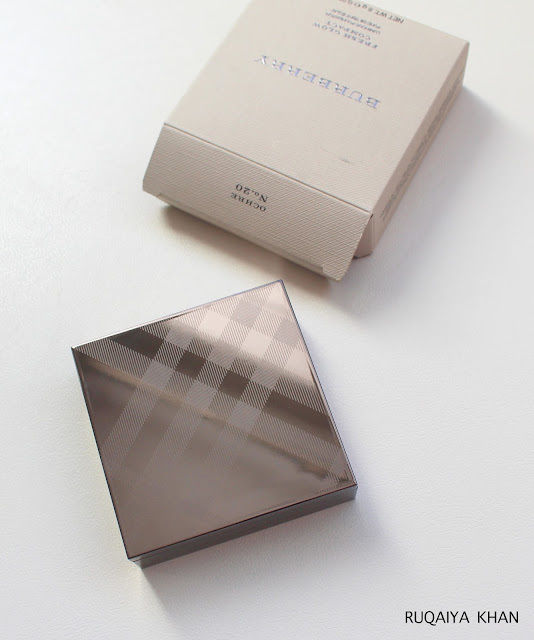 I like using this dry more than wet, because firstly, it's much easier to use a large powder brush to apply this than using a wet sponge and secondly this shade is not a perfect match for me so it shows up more when wet, especially during the cloudy weather these days. Under the sun this looks amazing, so I think I will wear it wet during summer time, because I like the fuller coverage and the velvety feel it gives to my skin. Wish it added some luminosity as well. 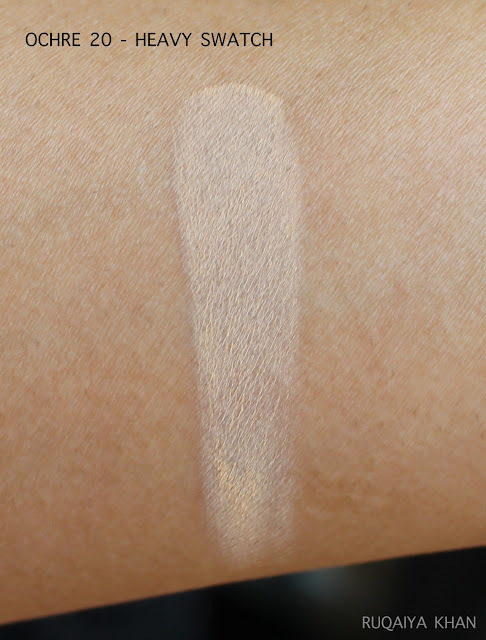 The shade Ochre 20 is definitely lighter for my skintone, but the yellow undertones work for me and it blends out nicely on skin and looks fine with a little bronzer. 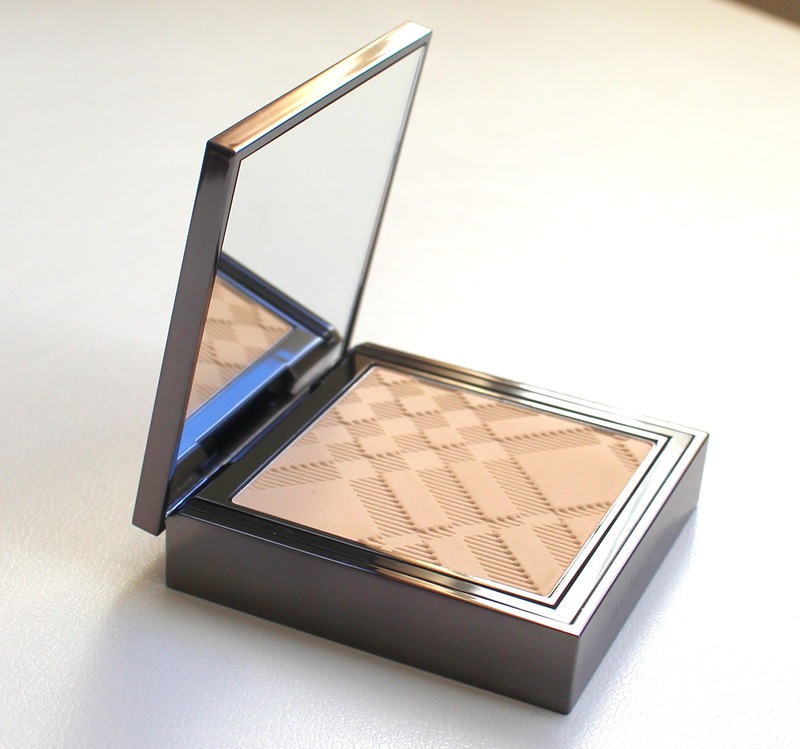 This powder foundation does not oxidize on skin! YAAYY! That's the one thing I love about it. 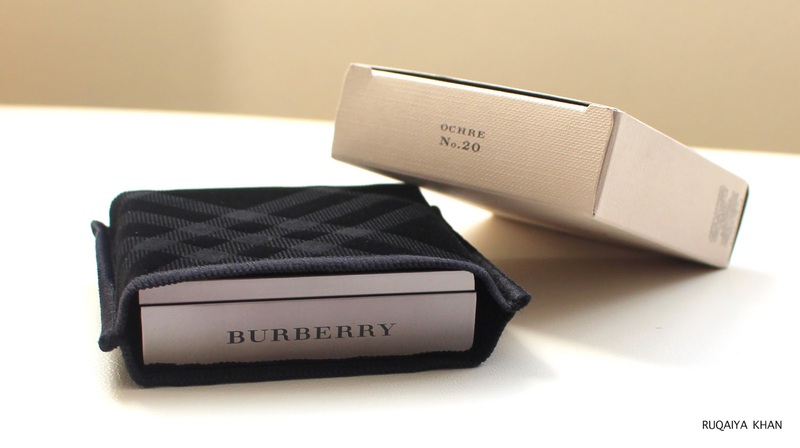 It stays put, it doesn't turn orange or grey overtime and it covers well. I feel that this would be a great summer foundation because it stays put no matter what and I won't have dry skin issues "hopefully". My routine is usually like this: Sunscreen + Primer + Concealer + Powder Foundation (applied with powder brush) and then I use a little highlight/contour and blush and my face is done. 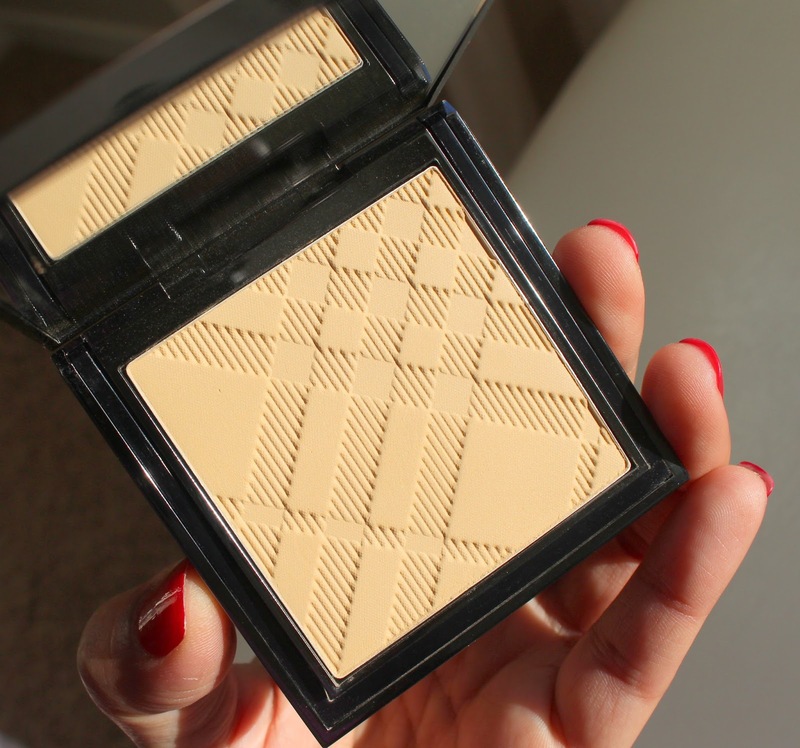 It looks nice on its own, but definitely not as amazing as my Dolce & Gabbana Powder Foundation. It retails for $60 at Sephora.ca and holds 8gm of product which is much less than what other powders offer. 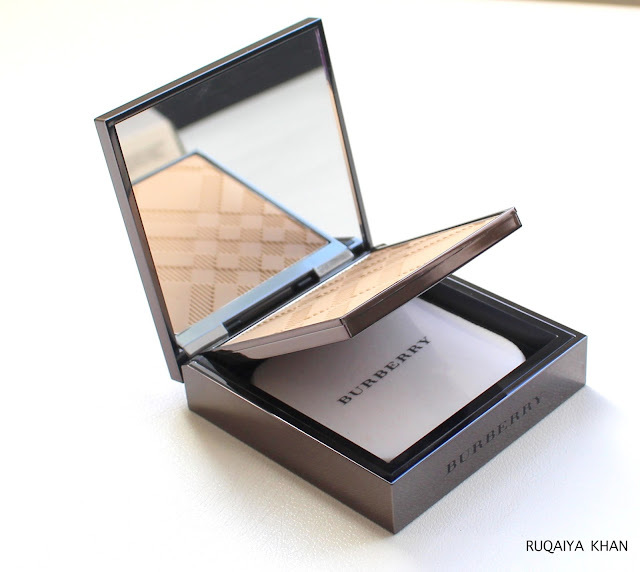 My favorite is the Dolce & Gabbana Powder Foundation that offers 15gm of product at the same price point. 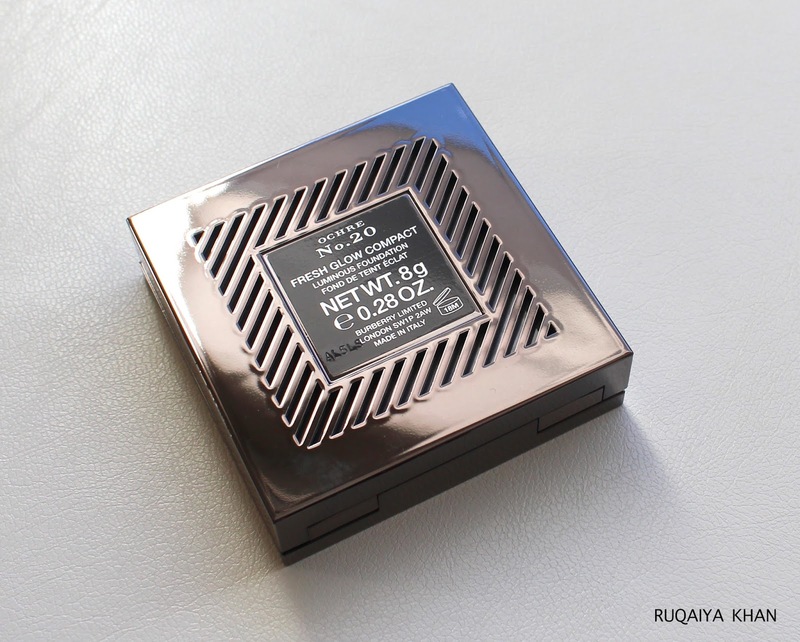 Unfortunately Sephora has stopped carrying Dolce&Gabbana makeup :( so that's when the hunt for another powder foundation began in the first place. Overall, if you can find a shade among those 6 available, you live in humid area and you like scented, long lasting, non oxidizing and matte foundation, then this is for you. 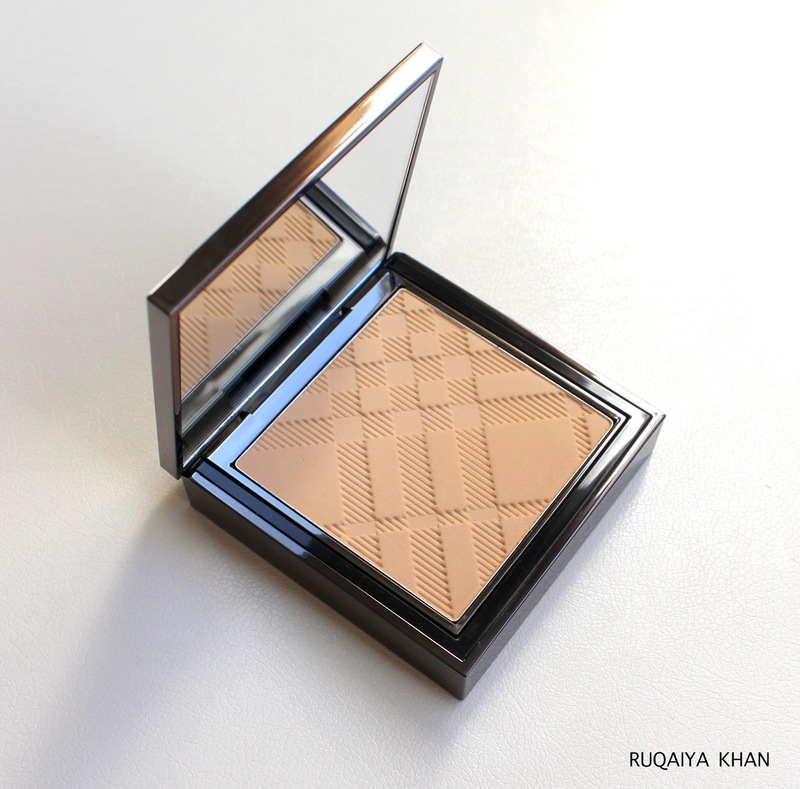 I love the fact that this can be used on its own unlike the Giorgio Armani Luminous Silk Powder Foundation which was so sheer...super sheer! Even when I use it to set my Chanel Vitalumiere Satin Foundation, it does not cake and sets my foundation well. I like it, even though it's not exactly as expected. Wish the shade range was wider. 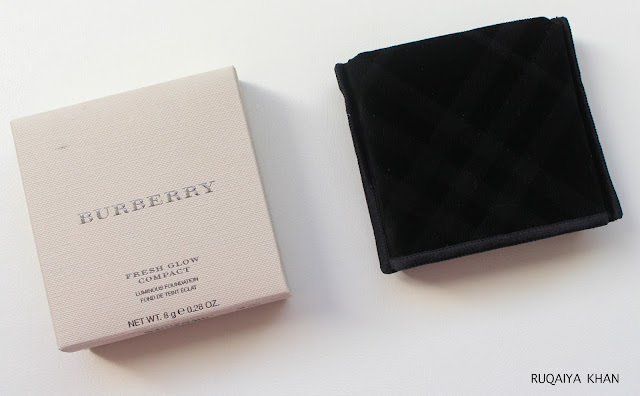 Oh and that typical Burberry scent..this foundation smells amazing and the fragrance lasts!